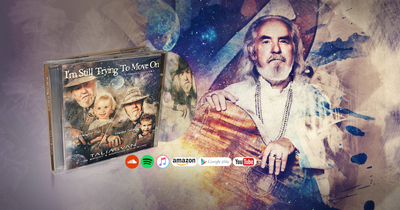 TaliasVan's Latest Release: I'm Still Trying To Move On - CosmoCountry, check it out! Tune in to CosmoPop® on KVAN.fm! 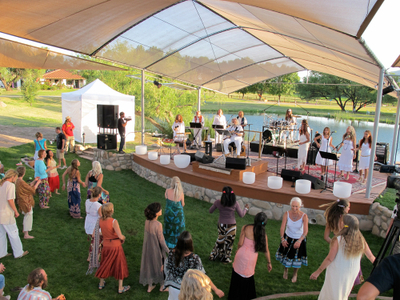 Subscribe for updates on the upcoming Spiritualution℠ Concerts. If your city would like a Spiritualution Concert that would uplift the hopes and the hearts of the people for a new world to come and to have hope in the coming back to this planet of The Promised One, and if your city has been through tornadoes, or earthquakes, or storms, or hurricanes, and needs spiritual upliftment, please call Global Change Media at (520) 398-2542 and ask for Mycenay. Your music has touched me deeply, and forever, and I will always love it for its beauty and sincerity from within you. Your very unique vocal style is a great and lasting unique influences on my wish to sing. I am not great at singing, but I love it when it comes, I try to sing, but so much to learn and practice to truly be great as they say. But after listening to you singing so much on the internet with Spotify and the YouTube, and then the CDs also I have got and listened to, I am moved and must express my honest admiration and appreciation for this very unique style and sound, but mostly just for what inside of you brought out this beauty of love for God. I have not heard much music in my life, so this is not meaning much, but even as I looked, I still don't see this quality, or this much of something "I cannot put my finger on," as the American say, I really still have no words for this? But it is very much an amazing thing that will last, even if it is lost to a generation or more here in this timings. From what I see and read about your organization, it does not quite feel wholly right to me, for my walk with Jesus, and it is a small walk of course, so perhaps I am wrong, by His grace go I, and this I say with the deepest heart, without Him I have nothing and am nothing, but this small inner voice to me says to me what it says, and that is of course my own walk with Him. But none the less, aside from this differences that peoples have in beliefs, I feel that what motivates and what is the reason behind the actions, what is the root of the man, this is what matters the most for the peoples truly to find world brotherhood, to be unified in spirits. Perhaps you are a million light years ahead in these musics, perhaps not, but this music that comes from you, this music is the music which stays and has value and quality into these what other worlds are ahead, at least I as where I am see these things, but perhaps I am the wrong, as they say, forgive my English? I will always listen to your music in the eternity, and remember these days on this strange crazy world as those times are coming. Perhaps I shall one day be truly worthy of the kingdom as He requested of us, but perhaps I shall not. These matters can be troubling at times, as what measure do we have in this world to guide us but the example of this Christ to be devoted to this will of the Father, always? But in these times to times in life, what do we do? just listen? Trying to be hearing of his voice? Hope to be guided? One may desire His will and yet not be in it because the inner side is so lying to individual minds at times yeah? I know not of these things in true, only that I am just a small man trying. But these things are not what is so important to me here!! To me, I have been blessed to have been influenced by your personal mirrors of the Father in a lasting and much specials to me way, and hey, from this small man here to you, I love you for these things, I thank you for everything it took of you to accomplish these things which you did, and for the hearts you also influencing forever but you even may not know you do this yeah? but I think these things, so must this Father think more yeah? How many think so many things but do not have the courage to be reaching out to you to say them? I may not have the chance to be seeing you in this times in this world, but if I am blessed by grace, perhaps I may be able to greet you once more in these worlds they say are to come after this? Thank you, thank you, may His blessings ever be with you as you strive to do this desire of the energy master. TaliasVan's CosmoCountry genre is good 'ol country western with a cosmic twist! 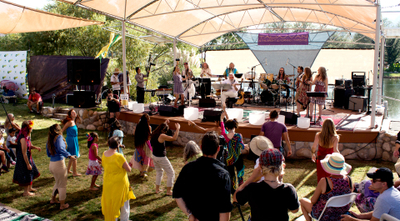 CosmoPop® is spiritually-hip vocal music that addresses the sufferings of our times and gives hope for a better world to come. 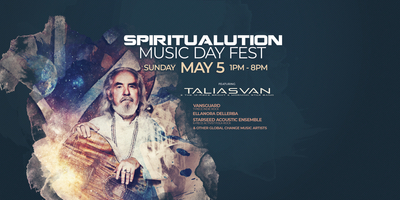 It is TaliasVan's unique form of Global Change Music which he plays with the 12-piece Bright & Morning Star Band. 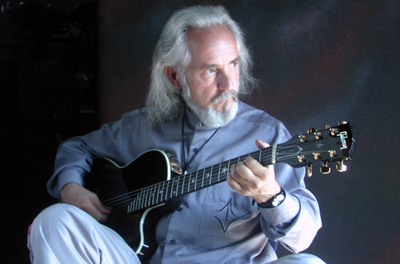 CosmoPop®, spiritual-vocal music incorporates spiritual lyrics, mantra, sacred dance using rock, jazz, celtic, folk, world music, CosmoFolk™ and even CosmoCountry™ to create an interuniversal and interdimensional experience. 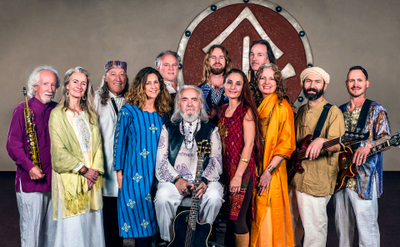 TaliasVan & The Bright & Morning Star Band balances the intimacy and spiritual sincerity of a singer-songwriter with the groove and excitement of a 12-piece intergalactic jam-band.